Choice with Jinx Lennon – Thurs 8th November, 2012, Dundalk. Yes, 2012. Next week. 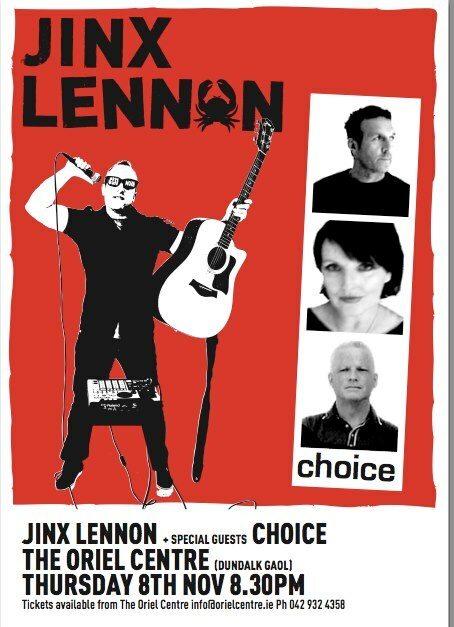 Choice back performing as special guests for the magnificent Jinx Lennon. More on Choice at their Facebook and more on Jinx at his site. Tickets on sale online here at Dundalk Gaol site.